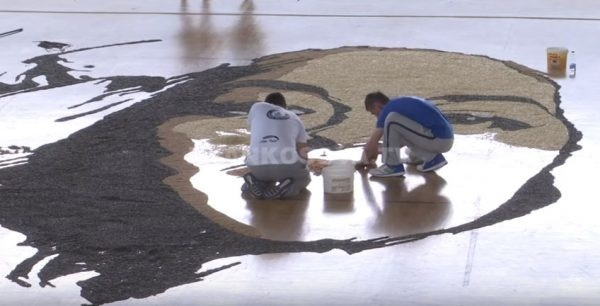 The Albanian Artist Alkent Puzhegu aims to break World Guiness Record by creating a portrait using sunflower seeds. The artist decided to create a portrait of famous Albanian singer Rita Ora in a mosaic. He has been working with his colleagues since yesterday to break this record. With a mosaic of 300 square meters, Puzhegu is attempting to breake the record of an artist from Germany who made a similar work in 272 square meters. We remind that Puzhegu in hoteliere by profession and deals with the art of fruit.